Keeping pets happy, healthy and at home with the people who love them is an important part of our work. 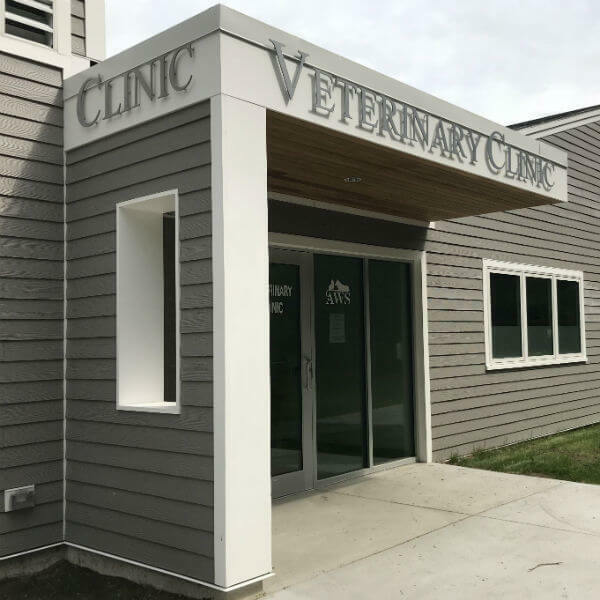 The AWS Community Veterinary Clinic, located right on AWS’ campus in West Kennebunk, is a full-service veterinary clinic serving AWS residents and pets belonging to community members in our region. The AWS Clinic staff is a team of caring veterinary professionals including full-time veterinarians, part-time veterinarians, licensed veterinary technicians, veterinary assistants, administrative staff, and dedicated volunteers. We offer a wide array of services and procedures to provide high-quality care to feline and canine patients six days a week. With digital x-ray, dental suite, ultrasound, diagnostic lab, two surgery suites, and an in-clinic and online pharmacy, the Clinic serves nearly every need of our patients. We believe an individual or family’s financial standing is not an accurate reflection of their capacity to love and care for pets. As a nonprofit, we strive to keep our prices affordable and our payment options as flexible as possible. However, this does not mean our services are free. We will work with you to meet the needs of your pet in cases of financial hardship. In addition to our programs, we can also provide information on applying for CareCredit and Scratch Pay, as well as direct you to many national grant programs that may be able to provide financial assistance. Please visit our resources page for more information. We offer a two-tier pricing* system, our Companion program, based on income qualifications. We accept cash, credit card, debit card, CareCredit, Scratch Pay, personal check with appropriate identification, and payment plans in qualifying cases. We offer public appointments Tuesdays – Saturdays and are open 8 am – 4:30 pm. All appointments must be scheduled in advance. If you would like your pet to become a patient at the AWS Community Veterinary Clinic, please call us at (207) 292-2424 or fill out our convenient New Client Form below. Please note, we schedule by appointment only.